Air China (Beijing) and Kunming Airlines (Kunming) signed a codeshare cooperation agreement in the city of Kunming on September 3, 2014, and the two carriers will start code share in the form of free marketing on each other’s selected domestic flights from September 15, 2014. According to the agreement, the two carriers will connect the city of Kunming to their respective route networks. With the cooperation, Air China will put its code CA on the nearly 500 weekly flights of 26 routes operated by Kunming Airlines, which will extend its route network to the cities of Yunnan province and other neighboring cities. 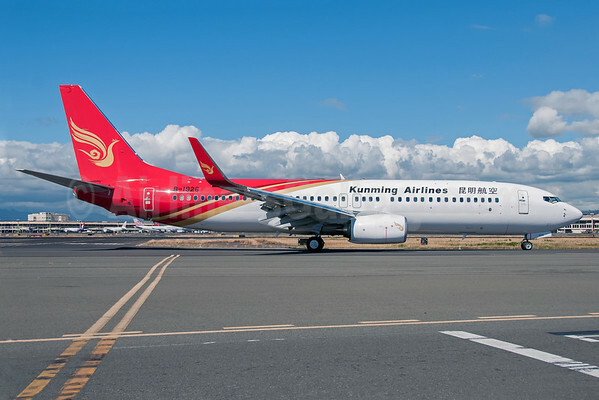 At the same time, Kunming Airlines will put its code KY on about 210 weekly flights of 9 routes operated by Air China, which will extend its network to most of China’s big and medium-sized cities. In financial news, Air China reported a first half net profit of CNY 510 million ($82.8 million), down 55% for the same period a year ago. Top Copyright Photo: Michael B. Ing/AirlinersGallery.com. 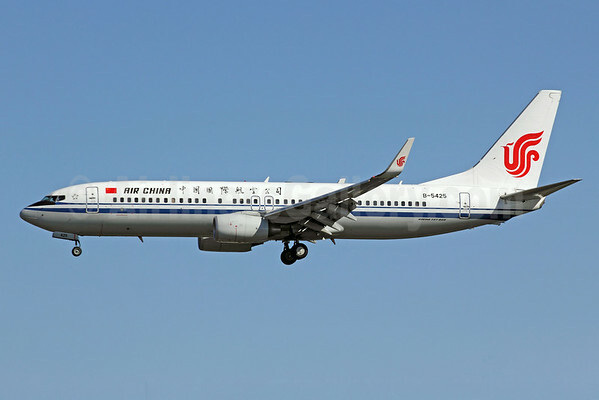 Boeing 737-89L B-5425 (msn 36743) of Air China arrives at the Beijing (Capital) hub. Bottom Copyright Photo: Ivan K. Nishimura/AirlinersGallery.com. Kunming Airlines’ Boeing 737-87L B-1926 (msn 41111) passed through Honolulu on delivery. This entry was posted in Air China, Kunming Airlines and tagged 36743, 41111, 737, 737-800, 737-87L, 737-89L, Air China, B-1926, B-5425, Beijing, Beijing Capital International Airport, Boeing, Boeing 737, Boeing 737-800, HNL, Honolulu, honolulu international airport, Kunming, Kunming Airlines, PEK on September 4, 2014 by Bruce Drum.